Here it is ladies and gentleman the chapter we have all been waiting for! Chapter Twenty (or the final chapter of any book) is what you have been building up for ever since Chapter Ten (the middle of the book). This is when the climax is at its peak, all the secrets that your characters have been keeping are out in the open, and the bad guy is finally revealed! Now is the moment to unleash that big, final event that you have been keeping locked up in her mind. Let your fingers run free upon the keyboard. Let your pen spill excited ink all over your paper. Set your muse free! ﻿For a mystery, your detective knows, without a shadow of a doubt, who the culprit is. And they are taking him/her down! Make this event something that will make your readers catch their breath and hold it until your detective has the murderer in cuffs. This may be the end, but that doesn’t give you permission to skimp on the suspense now. Add as much suspense, fear, and gore as you want. For a romance, have your lovebirds declare their love, if they haven’t already. Let them shout it from the rooftops! After everything that has happened in your book, and all that you put them through, they deserve their happily ever after! For a thriller (horror, supernatural, etc. ), bring on the battle! Now is the time for the protagonist and antagonist to have their final duel to the death. Use the action tips from blog # 25 (How To Write Action) to help you write an epic fight. Let blood spill and bones break. You can even trick your readers into believing that the protagonist may not win after all. In other words, light the fuse for the deadly explosions and/or romantic fireworks because this is it! Do not hold back! Make your readers proud to have found such an excellent book, and make your characters proud to be in your novel. SHARE: A few details about the climax of your book. When you sense that you are getting closer to writing “The End” and according to your plot, you only have a few more events to write, then this is the moment when the intensity of your book must heighten to new and higher levels. Chapters Seventeen, Eighteen, and Nineteen are meant to do just that. These chapters contain the last blasts of excitement before the finale, which is Chapter Twenty. For a mystery, your detective at this point is right on the heels of the suspect that has been murdering people during the course of your book. During these last few chapters your detective should be at the murderer’s doorstep, maybe even literally. The danger must be so intense that the book will pulse with a heartbeat in the reader’s hands. For a romance, your two characters at this moment should finally accept their feelings about each other, even if they don’t exactly voice them yet. If they already have expressed their undying love for one another, perhaps something happens that could threaten to tear them apart forever. Until the last chapter that is. Unless you’re one of those romance writers who like tragic endings...? For a thriller (horror, supernatural, etc. ), the protagonist must be on the cusp of conquering his or her goal. Now is the time for battles. Now is the time for good to come face to face with evil. Now is the time for the world to hang on the balance of extinction. But save the fireworks and explosion for Chapter Twenty! QUESTION: What book(s) have you read that had the most exciting chapters leading up to the climax? You can spice up your writing the normal way with clever similes and metaphors, interesting words, and neat adjectives, or you can do it the extraordinary way. 1. Poetry is an excellent way to add something special to your book. If it’s relevant to the story and your characters feelings, you can include a poem or a few lines of one you’ve written in your manuscript. When using a famous poem, be careful of plagiarism. If you want to publish your book, you’ll have to get permission to use another’s work. 2. Similar to using poetry to liven up your story with emotion, lyrics to a song can provide the same effect. For my first book, I used a song for an event that involved my protagonist going undercover during a musical concert, and the song that the band sang was one that I wrote specifically for my book. 3. Philosophy intrigues us and adds a bit of intellect to our writing. Use famous philosophy that relates to your story, or even use your own. Whatever topic you’re writing about you probably have your own philosophy about it. This is your perfect chance to share it with the world, or at least your readers, but don’t push your opinion on them. There’s nothing more annoying or rude than a writer who forces their opinion on a reader. 4. Tidbits of history can be fascinating –especially if it is similar to what is going on in your story. Mentioning a person who made an impact on the world we live in today can also spark interest (especially if they were involved in something that is an important topic in your story). As far as history goes, don't exclude mythology. 5. There are facts and statistics about everything from animals to crimes. Include interesting facts related to your story to spice up your writing, such as psychology. Who wouldn't want the chance to teach a reader something that they may not know while also entertaining them? I wouldn't! SHARE: Your techniques that you use to spice up your writing. 1. Setting and Tone. Yes, when it comes down to it, the setting and tone of your book is very important, and sometimes amateur writers take them for granted. A true writer will take advantage of the setting to play into whatever emotion they want to give. An effective setting can be scary, delightful, or even mysterious. For example: A room suffocating with dust and clothed in cobwebs with newspaper clippings cluttering the walls is a mysterious place. It makes you want to know what is on those newspaper clippings and who put them on the walls. By far, the best way to make your writing mysterious is by writing mysteriously. It’s all about your tone! 2. Give your characters a secret. When your protagonist has a secret, your reader will want to know what it is –especially when he/she fears that their secret is going to come out and vows to do anything to prevent that from happening. 3. Give your characters a past. Just as mysterious as a secret worth dying (or killing) for, is a past that keeps haunting your protagonist and/or antagonist. Revealing their past one piece at a time will keep your readers curious, but make sure that you tell them all there is to know by the time you get to the climax. 4. Put a mask on your antagonist. When your protagonist and readers do not know who the culprit is it guarantees mystery. 5. Show your characters point-of-view. I’ll say it again because I can’t say it enough: Revealing your protagonists’ and antagonists’ thoughts and feelings is extremely important to not only help your readers connect with them, but to also provide suspense and, of course, mystery. 6. Use emotional responses. How we react to certain things can be very mysterious. Perhaps your protagonist becomes angry when another character says or does something. The reader will want to know why they responded that way. 7. Pose questions. Bringing mystery into your story can be as simple as asking a question and not revealing the answer right away. 8. Reveal clues. This is especially important for murder mysteries. Start by uncovering small clues that seem strange and irrelevant but leads to the bigger picture, whatever that may be. 9. What all of the above boils down to is to be secretive! Even if you’re not writing a mystery novel and you don’t have an antagonist, you can still create mystery by being secretive and not telling your reader everything right from the get-go. Instead, draw out the anticipation by revealing the facts one at a time. 10. The most effective method in my opinion is to keep your readers guessing! Throw something at them that makes them believe someone else is the murderer, or provide a plot twist that will cause your readers to doubt what they thought they knew. SHARE: Your tips for creating mystery. Suspense makes your reader’s heart pound uncontrollably, their hands sweat around your book, and drives them to read faster so they can turn the page to find out what is going to happen next. Not every genre calls for suspense, but if your story is driven by it then here are ten tips to help you build suspense. 1. Plot is the biggest key to suspense. To being with, you have to create events in your story that can be suspenseful like a fight, a kidnapping, a car accident, etc. 2. Setting and tone. A place can be very suspenseful –especially if it’s a dangerous place such as an alley, an abandoned building, or a drug dealer's home. Lighting is also a factor in suspense. If your protagonist is in pitch darkness and can’t see two inches in front of their face the suspense is much higher. Tone is equally important. Actually, aside from plot, tone is more important than anything else is. If you use a dark suspenseful tone then you heighten the suspense just with your voice. Imagine you are telling a scary story, how would you talk to your audience to create suspense and fear? 3. A good protagonist and a good antagonist can make all the difference. See Blog #33 Protagonist VS. Antagonist to help you create characters that can drive your story and cause suspense. 4. Show your character’s point-of-view. Whatever sort of suspense you are creating, it should always be your top priority to reveal what your protagonist is thinking and feeling. When you show their fear to the reader, then your reader will fear too. Don’t just focus on the protagonist though. Take the opportunity to get into your antagonist’s mind. Just by revealing their twisted thoughts and motives, you are building the suspense. 5. Use short sentences and fast pace. Just like when you’re writing action, a fast pace means there’s more action and more suspense. 6. Set a time limit. Nothing creates more suspense than a ticking clock, like a bomb that is counting down its last seconds. Perhaps your character is a detective investigating a series of crimes and they have to catch the suspect before they kill again. Have the antagonist reveal that he/she is going to kill again in a certain amount of time then make your protagonist scramble to try to stop him/her. 7. Create high stakes. Your character’s life (or the life of someone they know), their sanity, or the fate of the whole world could be on the line. It’s up to you! Whatever the stakes are, make the threat and the danger real. If there is a bomb, make it come within seconds from going off. Heck, make it go off just as your character is escaping. Now that is suspenseful! 8. Set the odds against the protagonist. If there is no struggle, there is no suspense! It has to seem almost impossible, or that the protagonist may not win after all. Throw complications and dilemmas at your protagonist left and right, something that will make them stumble in their investigation or cause a problem. 9. Fear! Using the protagonist’s fears against them is a sure way to build suspense because when you use fear, suspense is right around the corner. You can even play into your reader’s phobias by writing about fears many people share, like the fear of spiders, drowning, heights, etc. 10. And my favorite weapon to use to build suspense is… SURPRISING THE HECK OUT OF YOUR READER! This is the best way to build suspense and is quite fun to do when you know that your reader won’t ever suspect what you just wrote. A twist in the plot will make their jaws drop and their minds race. After all, when your story is unpredictable it has suspense written all over it. SHARE: Your tips to building suspense. My desk is where magic happens. Every time I sit down, I escape into an unknown world and write the whisperings of my heart. I spend most of my days at my desk where I live, breathe, and thrive, as do many writers, as do many of you. 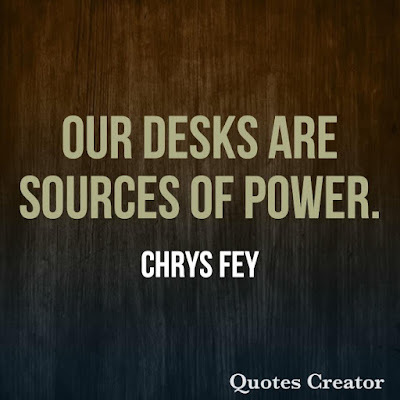 Our desks are sources of power. We work at our desks. We create at our desks. 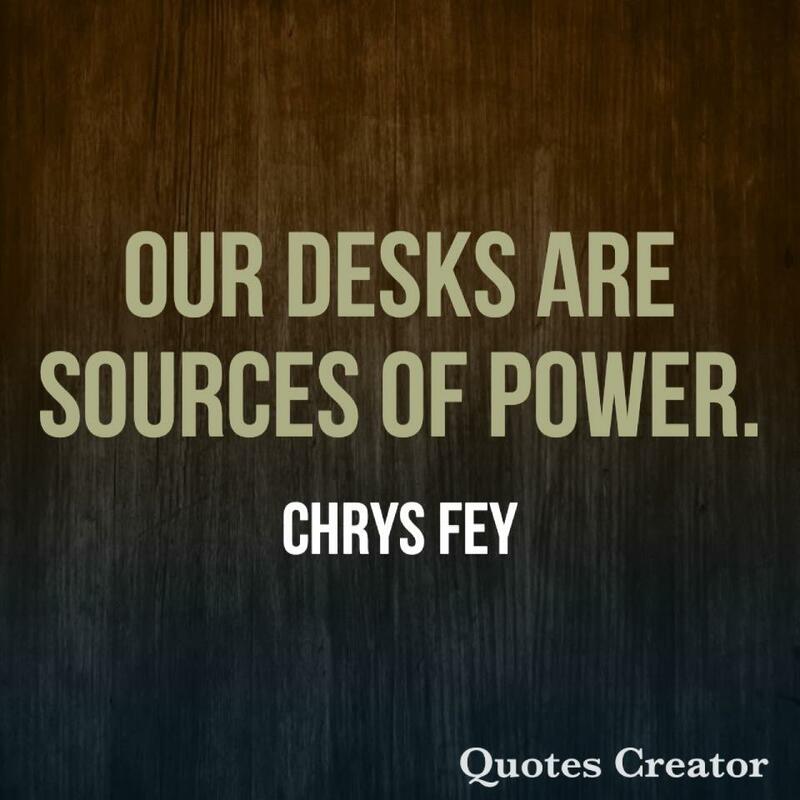 Therefore, our desks should reflect that. However, writing often leads to neglect, like postponing your lunch break to finish writing (which reminds me, I need to eat my lunch! ), forgetting to wash the dishes, or feed a pet. Very often, a desk can become dusty, cluttered, and unorganized due to a writing frenzy. Well, no more! 1. Gather all of your runaway pens, pencils, and highlighters and slip them into a pencil caddy. If you don’t have a pencil caddy, you can make one, like I did, with an aluminum can. Go to your kitchen and make yourself a nice bowl of soup. After you enjoy the warm comfort, clean out the can, and decorate the outside with paper, fabric, or whatever craft materials you have lying around. Then slip all of your pens and pencils inside. Tada! Now you have a neat pencil compartment and you helped the environment by reusing an aluminum can! I’ve also used cups and glasses for this same purpose. 2. Make a junk drawer in your desk. Instead of junk, though, you will fill it with writing essentials like erasers, whiteout, and small memo notepads. Include other tools you use at your desk, too, such as a stapler and calculator, but just because this is a junk drawer doesn’t mean it has to be messy! Keep it neat by putting loose paperclips and rubber bands in a Ziploc bag and clipping small notes together. Create a special drawer for computer paper, envelopes, and printer ink as well. If you don’t have drawers, get a box with a lid and make it your writing junk box. 3. Put all of your printed articles, short stories, poems, songs, etc. in folders. This keeps your documents organized and safe. Then put all the folders in a three-ring binder and use dividers for easy access. This strategy is also a great way to keep your publishing records orderly. Create a divider for agents and editors that you’ve submitted work to, want to send work to next, or the agencies you have to research. This will help you to stay stress-free in your pursuit of publication. 4. If you have limited drawers and not much desktop space, leave the notebooks, binders, and books that you use multiple times a week at your desk. All the rest you can store inside a plastic container or a backpack as I do. Place the container or backpack by your desk so whenever you need something inside it, it is within reach. 5. Lastly, clean your desktop. No, not your desk (although, you should perhaps dust it). I am talking about your computer. Delete those files that have been taking up space on your computer for years that you’ve probably forgotten were there. If you are afraid you may need it in the future, print it out and put it in a folder for safekeeping or email it to yourself and save it in an email folder. Use programs like Disk Clean Up and Disk Defragment to clear up any system clutter that may be slowing down your computer. Now that your desk is organized for success, you can add a few decorative pieces for inspiration. My writing career begins at my desk, where I am sitting right now, because this is where I can bring my dreams to life. The entire world is at my fingertips here, which is why I always keep it organized. Your desk is just as magical. Every time you sit down to write, you give it power and it gives power back to you. Clean and organize your desk regularly to keep that power flowing. There is a saying, “Knowledge is Power.” I believe organization is power, too. QUESTIONS: Do you have a messy or clean desk? If you have a clean desk, how do you keep it organized?